Behind every great athlete is an even greater Crossfit™ coach. But what traits distinguish a top-quality coach from the rest of the crowd? 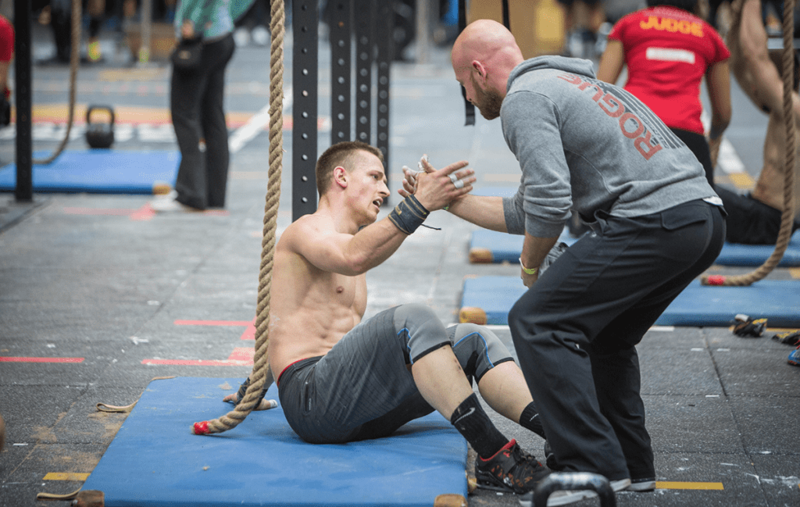 What tools can a coach use to stay ahead of the competition? Think about your coaches and see which of these characteristics they possess. Which others that you would add to this list? This point sounds obvious but think about all the tasks that coaches have to spend their time completing: admin, onboarding, planning, paperwork, organising payments, building leases etc. Wouldn’t that time be better spent training the members of their Box, and consequently providing more value for money for each and every membership? BoxChamp is an all-in-one management and performance tracking platform for gyms with about 40,000 active users and 250 gyms on the platform. 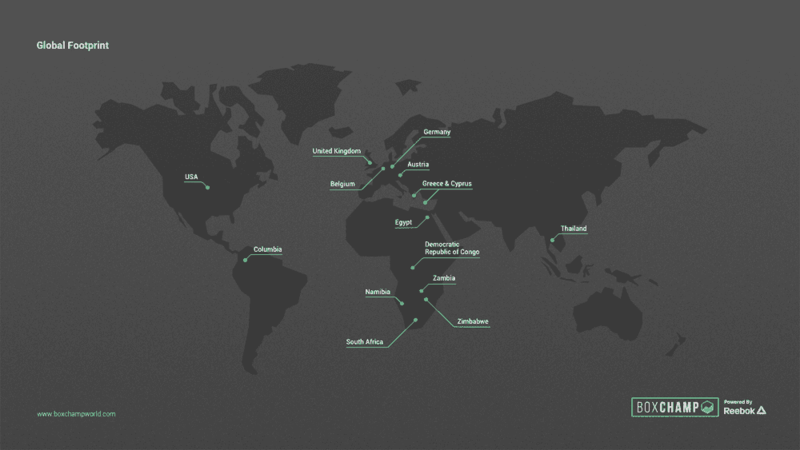 It began in South Africa and has since scaled to 16 different countries. 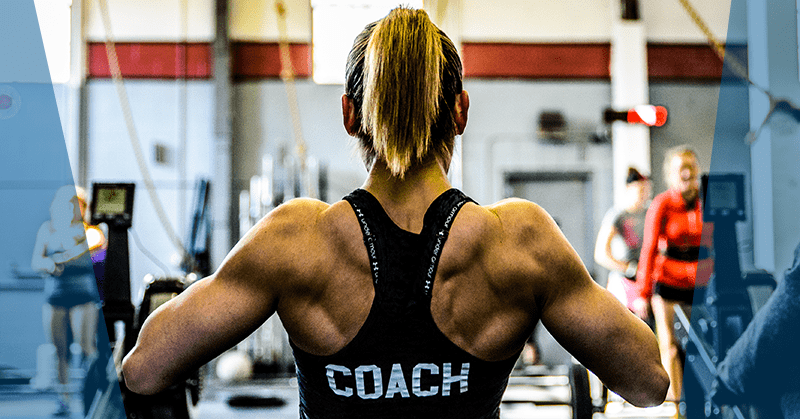 Designed, built and run by Crossfitters, BoxChamp provides a time saving solution, an operating system for Box owners and coaches to completely remove a lot of the admin and tasks that they would otherwise have to manage. This allows coaches to spend more time doing what they are best at – coaching the members of their Box! Every single person employed by BoxChamp is a Crossfitter. Some of their employees have managed boxes themselves. They are constantly working in Boxes, training and talking and they know what is going on and what people need. A quality coach will always protect the health of their athletes and do everything in their power to keep them injury free. This incorporates correct form at all time, an insistence on scaling correctly and extensive work on the basics. A focus on the foundations also means that a coach follows proper progressions when training athletes. For example, faults in form and movement in a front squat will also show up in an overhead squat. A standout coach will make sure that an athlete shows competency at one level of a progression before moving on to the next one. 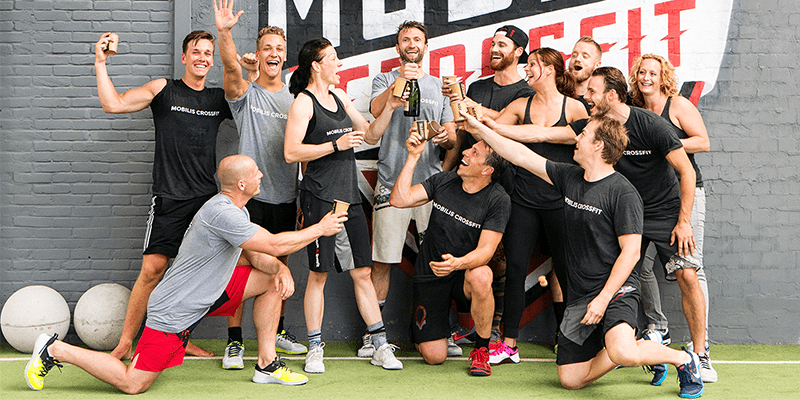 Because Crossfitters are a hugely diverse group of people, a decent coach will understand what constitutes an achievement in regards to each individual member’s ability. We are all familiar with the concept of scaling, but a coach needs to be able to detect when an athlete is really pushing themselves or has reached an important milestone in their training. This could range from a single pull up to a strict ring muscle up, or a box jump to a 200kg Deadlift, depending on that particular member and their current ability level and set of goals. The coach must be able to show that they recognise just how hard the athlete has worked ion order to reach that achievement. Any great Coach never stops learning. All great coaches have a desire and a passion for learning and knowledge that will directly feed into the quality of coaching and service that they provide to the members of their Box. A great coach can teach both experienced and inexperienced athletes. 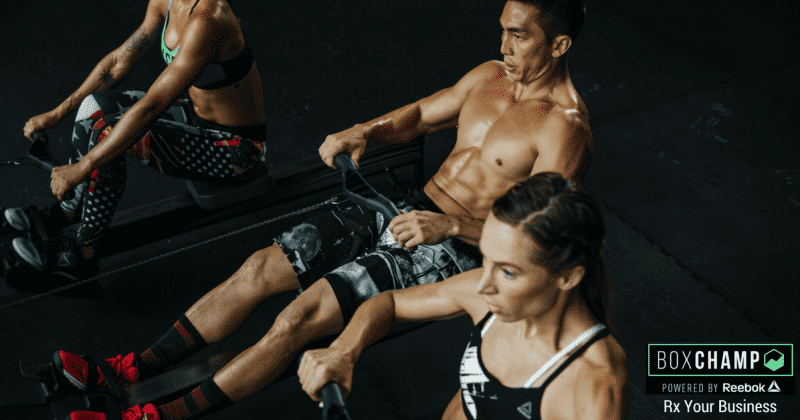 They understand how to respond to the respective needs of individuals and demonstrate exactly why certain movements and exercises are important as part of a WOD or training session. This extends to the overall programming of the Box as well. If members understand the ‘why’ behind what they are doing, then they are much more likely to push harder, achieve their goals and stick to their training. What characteristics define a decent coach for you? For example, certain coaching cues may be effective for some athletes but not for others. A talented coach will understand when certain cues are relevant and when they are not. A great coach knows exactly how to motivate the athletes in their Box. Everyone is different, and background, psychology, personal experience, ability level etc all play significant roles in pre-disposing people to get fired up in different ways. Some athletes like their coaches and other Box members to shout and scream them on when things get tough in WODs. Others are the strong silent type that simply need the occasional and well-timed word of motivation in order to push them to go beyond their limitations. Whatever method is used, a top-quality coach will understand what to say and exactly when to say it. A quality coach will always be deeply invested in the achievements of their athletes. BoxChamp is also designed to help both athletes and coaches work together in this regard. 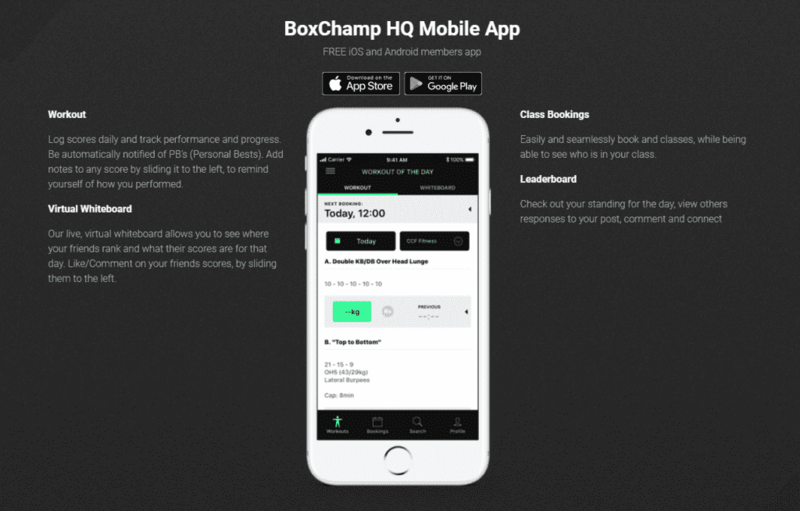 Once BoxChamp is installed by a Box owner, members receive access to the mobile app. This gives them the possibility to track performance and mark scores. There are also social aspects built into the app allowing athletes to compare scores against their friends. It is also possible to like and comment on other scores on a live real time whiteboard. Push notifications even let you know when someone has liked or commented on your score or performance. BoxChamp makes it easy to find previous scores so any athlete can easily chart their personal progress. For example, say you enter the Box and the strength portion of the workout is a 2-rep max overhead squat. You need to be able to easily access your previous information so that you can gauge your strategy, approach and execution for the lift. This makes training more efficient, so that you can focus on the task at hand instead of wondering if you aren’t going heavy enough, or what you lifted last time you performed this test etc. This functionality for tracking performance also allows for increased transparency between members and coaches. Coaches can easily access the results from different members, allowing them to observe progress in much more detail and advise and coach accordingly. This also results in improved and more specific coaching. This can inform the programming on a larger scale, say for example if there are patterns in the strengths and weaknesses of members. A good coach pays attention to the progress of its members, and BoxChamp enables them to do this more effectively. An outstanding coach will always concentrate on improving the details in order to provide a consistently excellent service for their athletes. This means being sensitive and aware of what is going on in their lives and training. For example, injury is an unfortunate ailment that affects many athletes, but also one of the leading reasons why people cancel their gym memberships. BoxChamp (link to BoxChamp) has an injury tracking system designed to notify coaches about injured members and allow them to directly speak to them and offer advice. “Hey you’ve injured your left rotator cuff, here are some mobility exercises to help you out.” Here’s some advice or “come in and I can help you to strengthen your stabilisers and work on some additional mobility exercises” for example. A great coach will always have enough humility to accept feedback from Box members in order to improve their personal method and style. They will be able to take this on board and act accordingly, free from ego, and decide on the best course of action. We understand that as Box owners and coaches you have limited time. Constantly engaging with members, coaching, building your business and being at the Box are all very time consuming. BoxChamp offers a solution, an operating system to automate all admin and give you back the time you need for more important tasks. Members can sign up directly through the Box website – a process that takes the person from lead to member without the coach touching a button. The whole on-ramp process is managed by BOXCHAMP. This helps to increase the conversion rate from on ramp to member. Founder Mark Fawzy is a committed Crossfitter himself and is passionate about the sport and the industry. 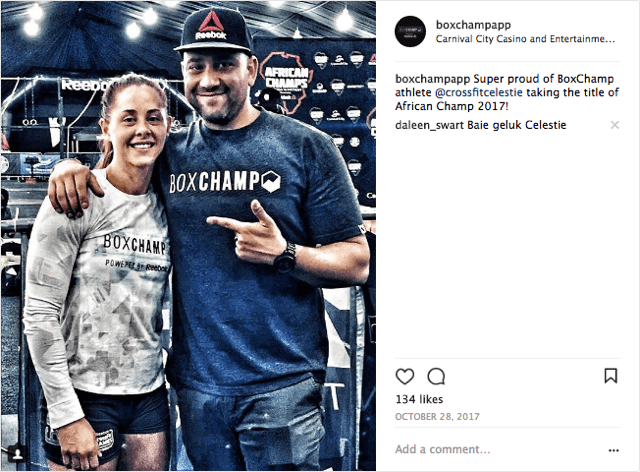 BoxChamp started out as a fitness and tracking app for Crossfitters and this slowly evolved into a complex business management tool used by over 250 gyms around the world. They worked with more and more Boxowners, creating a continual feedback loop that constantly develops a better product and service. Streamline your services and free up your time to concentrate on the things that you love.